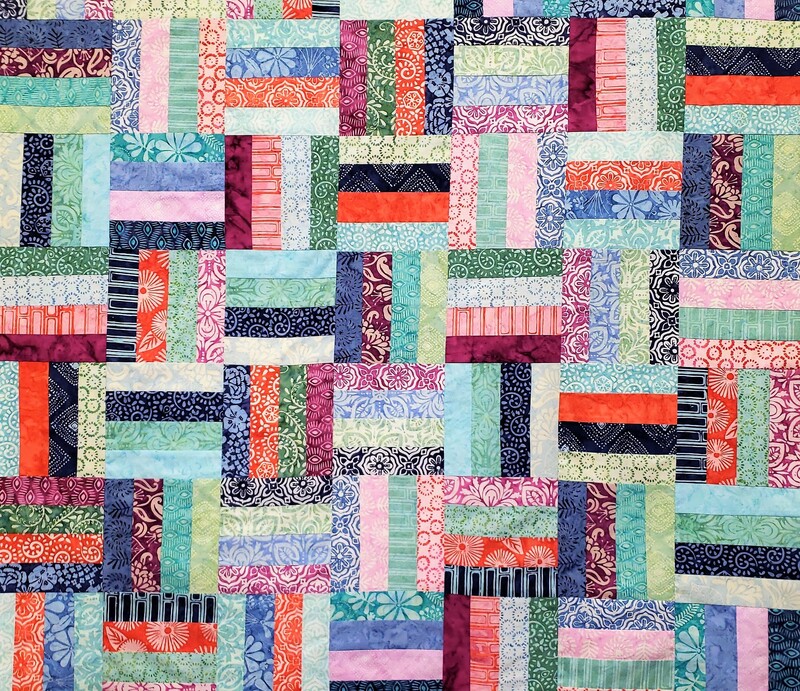 Join us as we create a simple Rail Fence Quilt using a Jelly Roll! Rail fence is an easy quilt pattern that's a cinch to customize. Each quilt block is made up of four segments cut from strip-pieced fabrics, making it simple to estimate yardage requirements if you'd like a larger or smaller quilt. Since this is a beginner class, we will be making a lap size quilt which requires only one Jelly Roll. 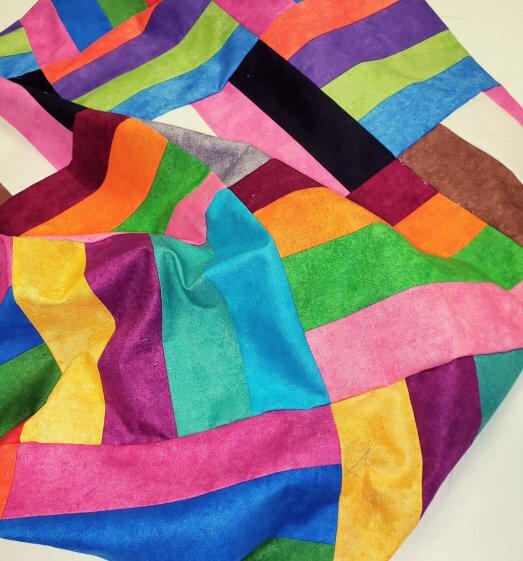 This class is designed for quilting beginners, we will progress through the process as we sort the Jelly Roll, sew strips, create blocks, assemble & sew the blocks into an exciting (and creative) pattern. Once we have completed this, we will then work on the ?quilting? part of the project using a basic ?stitch in the ditch? to secure our quilt to the backing. We will finish our project by adding a binding. We estimate that this class will take 4-6 sessions (less if students are able to do some of the sewings at home). To begin the class all you need to do is sign up!! If you have a favorite Jelly Roll bring it with you. We will also have them available for purchase. As the class progresses, students will need to purchase fabric for backing and binding ? but let?s get the project underway!! Come quilt with us!! Machines will be provided or you can bring your own. Class Fee does not include fabric.